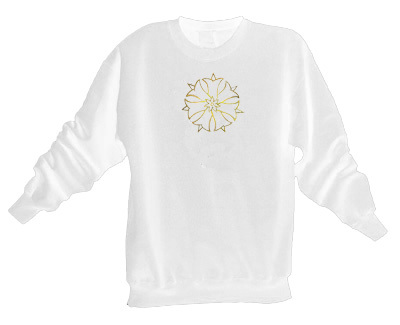 LilyStar Sweatshirt Discounts Apply ! The circle of lilies represents purity and innocence. The star woven within the lilies symbolizes the song of creation throughout the seven levels of understanding.The circle of lilies represents purity and innocence. The star woven within the lilies symbolizes the song of creation throughout the seven levels of understanding.